Unfortunately, when we live in a country with so much available to us this can easily happen. It’s not uncommon in places of plenty for children to display this type of behavior at some point. My children included. Thankfully we, as parents, have the awesome opportunity to model and teach our children how to be grateful for what they have and not constantly ask for more. Notice I said “model”? Yes, that means we need to be grateful in order to show our children what gratitude looks like. If you are interested in practicing gratitude for yourself be sure to check out my post from yesterday (there is even a free printable! Yay!). And as for teaching our children gratitude, well that is a daily process. There is no formula or instruction manual for teaching things like gratitude so unfortunately there isn’t step-by-step instructions for how to teach it. However, even though there is no instruction manual for teaching gratitude, I see five components to what we can do with our children on a regular basis. Today, I am going to give you a tool for your children to Reflect On It. For the next 31-days your children can think of one thing per day that they are each thankful for and write about it. It doesn’t have to be long or profound but just ask them to think of something they appreciate and write it down. And I have something special to give you! 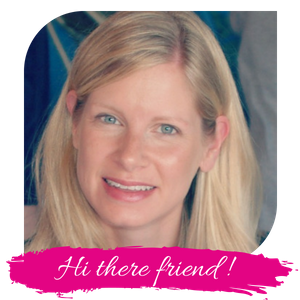 There are two different children’s gratitude journals available to you, both for FREE! The first version includes two days per page with a smaller area for a drawing each day. The second version has a separate page for each day with a very large area for drawing. Both have the same cover page. You decide which one will work better for your child! I printed the cover page on card stock and the rest of the pages on printer paper, I used a regular hole punch and brass fasteners to hold each book together. You could also use sliding bar report covers or have a print shop spiral bind it (if it’s something you’ll hang on to as a keepsake then it may be worthwhile). This month I will be working with my own children on all five components of teaching gratitude by writing daily in my own gratitude journal, working with the kids to write in their gratitude journals, reading scripture, praying and also practicing gratitude. 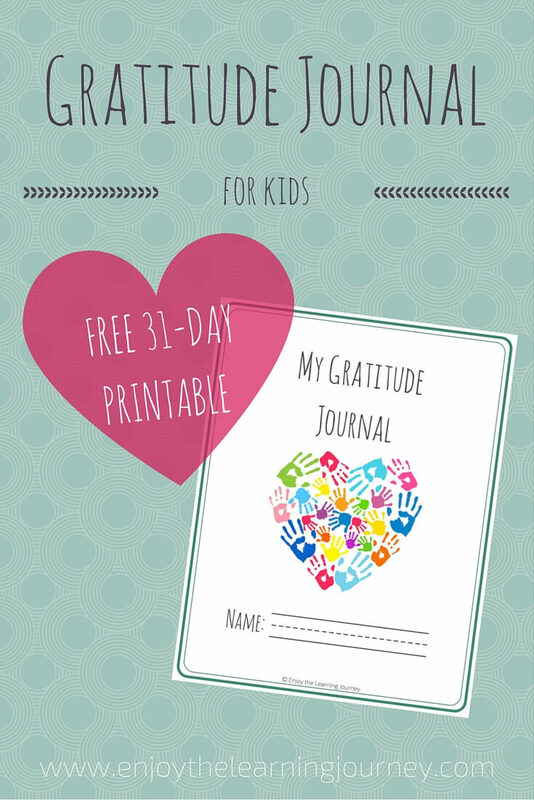 And again, if you are looking to practice gratitude along with your own children, be sure to check out my free 31-day gratitude journal for moms.